The year 2010 is the year of SOLIVIA, the new brand of Delta´s Solar Inverters that are now also available for the Korean and Australian market. 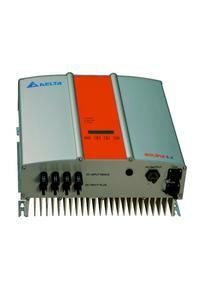 SOLIVIA stands for Solar inverters for versatile and intelligent applications. The integrated multi-country software of the Korea and Australia models renders it possible to configure the SOLIVIA solar inverters for a specified country with a few clicks via the integrated display. 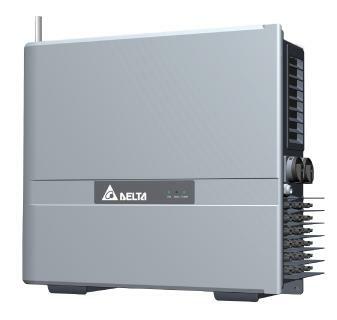 The Asia-Pacific string inverters from Delta, SOLIVIA 2.5, 3.0 and 3.3 offer an efficiency of up to 96 % due to the high frequency transformer technology. Compared to previous generations of the string inverter product range the LCD display has been improved, it is brighter, offers a wider viewing angle and consumes less power. The SOLIVIA string inverters can be used with all common photovoltaic module types, even with rear-side contact modules and thin-film modules that require positive or negative DC grounding. With the optional grounding kit from Delta, the inverters are qualified for these applications. The models have intelligent MPP tracking and extract maximum performance from the solar cells under all operating conditions. The SOLIVIA models do not have fans and operate over a wide range of temperatures. The housing has a compact design and the inverters have low noise characteristics, so they can be mounted in indoors as well as in protected outdoor areas, since the IP65 casing is dust-tight, completely safe to touch (shock proof) and protects the unit from jet water from any direction. Mounting is performed easily even for the non-commercial user due to the supplied mounting plate and wall bracket. The solar inverters are fitted with overvoltage protection, heat protection, short-circuit protection and overcurrent protection. Delta’s SOLIVIA AP series meet all guidelines regarding safety standards, EMC and national requirements. All SOLIVIA solar inverters are compatible with Meteocontrol monitoring systems that allow the operator to monitor and to record key performance indicators within a day, week, month or year.